Parents spend so much time and energy trying to make their children behave, you would think they would have a deliberate, thought-out system for accomplishing this goal. Most parents, however, lament that not only do they not have a pre-determined plan, but that the "method" most of them use — punishment — doesn't seem to work and it is very unpleasant to administer. It seems that the majority of parents simply don't know any other way to manage bad behavior in their children, so they resort to what their parents did with them — traditional punishment. 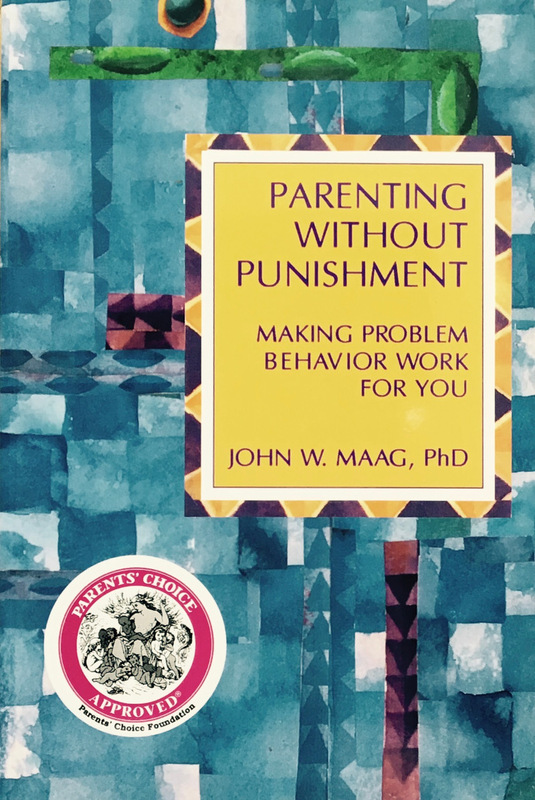 In his groundbreaking book, Dr. John Maag explains that the problem with punishment is that it simply doesn't work. It is always contingent on a child's bad behavior, it is based on principles of negative reinforcement and it is always reactive — in other words, a recipe for disaster. In its place, Dr. Maag suggests that parents try his method — a proactive approach that focuses on emphasizing and encouraging a child's good behavior rather than trying to decrease his bad behavior. In addition, Dr. Maag suggests using such bad behavior as a focal point for determining which behaviors need to be changed. Although this might seem obvious, it’s much more complicated than one would expect. Neither radical nor far-fetched, Maag's system, based on traditional applied behavior analysis techniques, is completely sensible and effective, stressing consistency and positive reinforcement that will shape a child's behavior far more profoundly than will punishment. Step-by-step directions, practical examples, fill-in charts and questionnaires show parents how to effectively manage a wide range of problem behaviors in their children, from minor problems to depression and attention deficit disorder (ADD). Filling a long-standing need, Parenting Without Punishment will help parents and teachers promote responsible, independent, creative and secure future adults. THIS BOOK WILL TEACH YOU . . .
"This excellent book has much to commend it. It should have considerable appeal to parents who have concerns about how to deal with their children’s problem behaviors. It is likely to prove especially useful for therapists and counselors to give to parents that they are assisting to implement behavioral procedures. It explains principles of behavioral analysis in a clear manner, well illustrated with real-life examples. It shows how the principles can be applied to a wide range of behavior problems, including some areas of major concern to many parents such as attention deficits, depression and resistant behaviors. "Throughout the book, Maag stresses the need to apply behavioral principles correctly and consistently but also positively, with the aim of enhancing the lives of both the children and the parents. He argues for ensuring that behaviors seen as problematical really do need changing, for carefully analyzing the context in which they occur, because many problem behaviors are undesirable ways of achieving desirable outcomes, and for building up incompatible positive behaviors to shift from a focus on what should not occur to what should occur. "For a long time, the use of punishment has been decried by professionals without providing parents with positive alternatives. With the aim of enhancing the lives of both the children and the parents, Parenting Without Punishment is an excellent exception and should be read by every parent." A licensed psychotherapist, John W. Maag, PhD is Professor of Special Education and Communication Disorders at University Nebraska at Lincoln where he specializes in the treatment of children with emotional and behavioral disorders. Focusing on behavior management, cognitive therapy and the use of strategic interventions, Dr. Maag is a nationally recognized researcher, educator, editor, keynote speaker and consultant. He is the recipient of the University of Nebraska-Lincoln Distinguished Teacher Award and the father of three children.